The Houston Health Department urges residents to take precautions against heat-related illnesses during the summer. “The high heat and humidity could result in illnesses such as heat exhaustion and heat stroke,” said Dr. Joanne Schulte, HHD’s deputy health authority in a news release this weekend. High body temperatures can damage the brain or other vital organs and cause death. In 2017, seven people in the Greater Houston area died from heat-related illnesses last summer. “Increase water consumption. Drink lots of liquids even before getting thirsty, but avoid those with caffeine, alcohol or large amounts of sugar because these can result in the loss of body fluid. Conduct outdoor work or exercise in the early morning or evening when it is cooler. Outdoor workers should drink plenty of water or electrolyte replacement beverages and take frequent breaks in the shade or in an air-conditioned facility. Those unaccustomed to working or exercising in a hot environment need to start slowly and gradually increase heat exposure over several weeks. HHD says people most vulnerable to heat-related illnesses are the elderly, infants and children up to age 4, those who are overweight and people with heart and respiratory illnesses. “Heat-related illness can also occur at lower temperatures if people over exert themselves or don’t stay hydrated,” the HHD news release says. 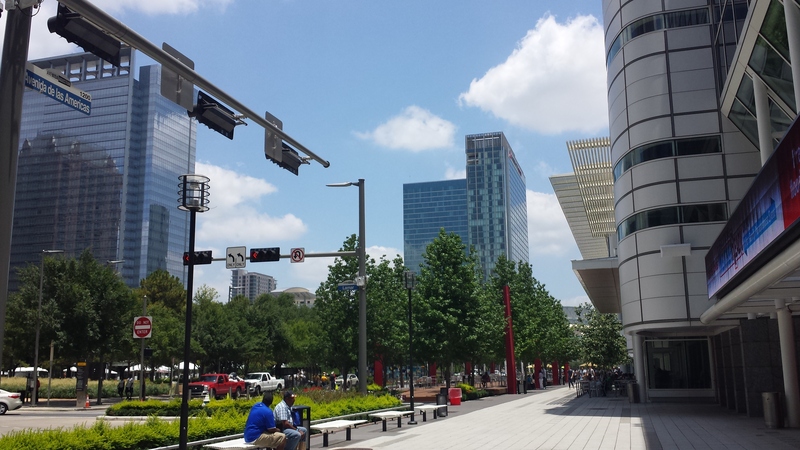 This entry was posted in Harris County News, Health News, Houston News and tagged Hot Weather Houston, Houston Health Department Hot Weather Tips, Houston Heat Wave 2018, Houston Hot Weather Advice, Houston Hot Weather Tips. Bookmark the permalink.